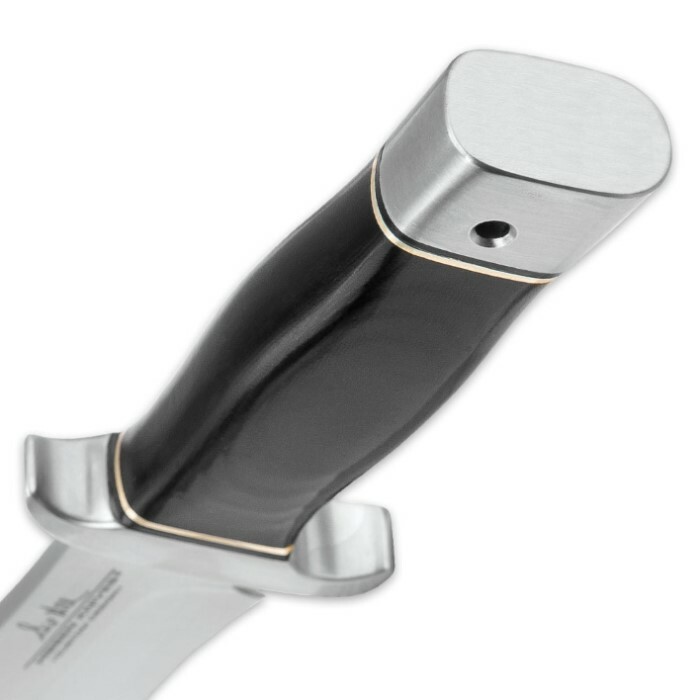 Our new Hibben Alaskan Boot Knife - from legendary knife master Gil Hibben - will be your everyday carry fixed blade knife! It's absolutely the perfect size, with an overall length of 8 3/4”. 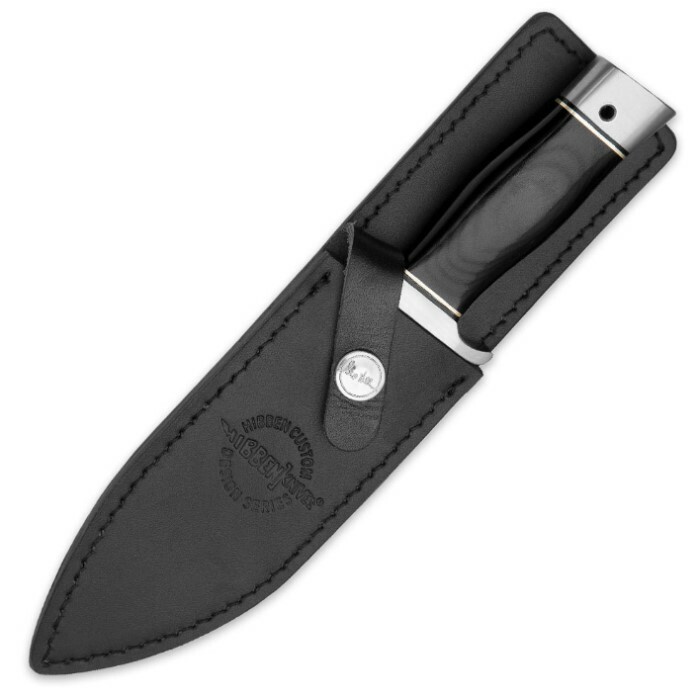 The leather sheath has a heavy duty stainless steel belt clip that allows you to easily just clip it and go. The 5” 7Cr13 stainless steel drop point blade is always sharp and ready. The Alaskan Boot Knife also features a black linen Micarta grip with silver accents and a stainless steel pommel and guard. 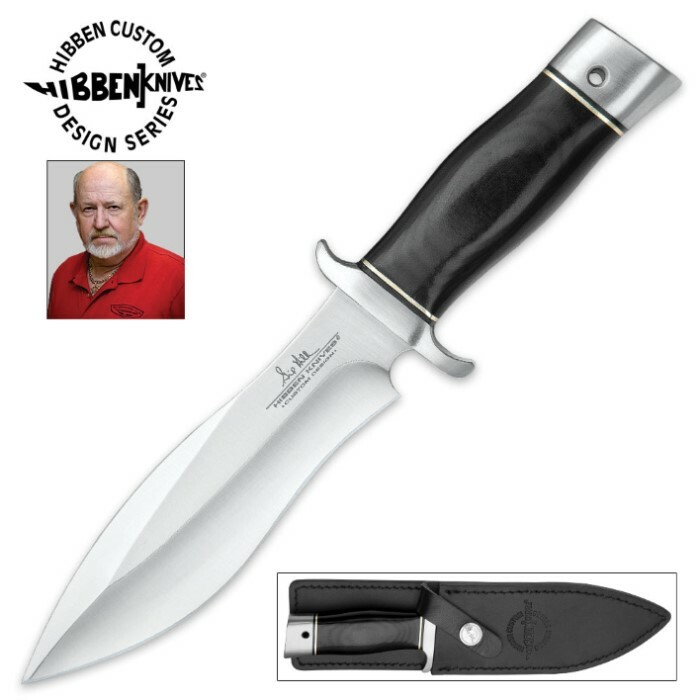 When it comes to knives, Gil Hibben always knows exactly what you need! Blade shape very useful. Takes on most tasks well. Does need frequent touch up to keep sharp. Hilt is loose! Needles better fit or silver solder. Handle a bit short for all but smallest hands. Retention becomes a problem without a full hand grip. I like a higher ride of sheath as well. I love the Gil Hibben knife collection and have several of them and I love them. Having said that, this knife is a poor sample of the Hibben brand. The boot knife SHOULD HAVE been copied directly from the Alaskan knife which I have and love. This boot knifes handle, and I have small hands, makes it almost impossible to hold comfortably. Blade is great and sharp. Handle issue should be addressed. Nice knife and sheath,the handle is very small I can only get 3 fingers on it.If you have child sized hands this is a great knife! Neat, very well made little boot knife, A bit smaller than the Hibben Alaskan Survival knife. Blade sharp out of the box, good quality sheath. Only issue is if you have big hands, this knife handle may be too small. I have small hands, and the handle just barely fits in my hand. Other than that, love the knife. Tom from Hawaii.